Will My Tickets Arrive? My Olympic Opening Ceremony Drama! The morning of my 29th birthday I woke up thinking about what I wanted to accomplish during my last year of my twenties. I spent my morning thinking about how amazing the decade of my twenties had been. I had the great blessing to see and experience the world. I thought about the sites I had seen, the people I had met and the humanity and love I had witnessed. In the last 8 years alone I had visited 34 countries, 4 continents, lived abroad twice and visited numerous cities. This allowed me to meet my lifetime goal of visiting 30 countries before I turned 30, but more importantly it helped me find myself. With a since of thankfulness and accomplishment I spent the morning of my 29th birthday reflecting on these adventures, and thinking about how much I had grown and experienced. I also wondered what the year 29 would have in store for my future. How could I possibly put a cap to the top of such a perfect decade of exploration and travel? What could possibly make it all come together to culminate in absolute perfection? What would be my next step? About this time, I got a message from my friend in Rio. He wished me a happy birthday and said I should come visit him for the Olympics. And that was it. That was what I needed. Attending the Olympics, the international Mecca of global cooperation and peace, was the perfect way to punctuate a decade of travel. And I simply said to myself “Why not?” Visiting the Olympics had always been my life dream. I had spent most of my youth obsessing about the Olympics. I watched the athletes compete with suspenseful reverence. I cheered for the Americans, but I also loved hearing about and cheering for the underdogs from Romania or Croatia or wherever. I looked forward to hearing the humanitarian pieces and human interest stories. I was enthralled with the history and culture of the host cities and how the entire world could come together to compete for two weeks. I cried whenever an athlete (especially an American, but really any athlete) won a gold medal and got the honor of hearing their national anthem ring out loud and clear for all to hear. But most of all, I looked forward to, I obsessed over, I yearned for and I watched and re-watched the Opening Ceremony. This is what I would hungrily await to see every 4 years. The Opening Ceremony is the dream, it is the most exciting and important and essential part of the games. 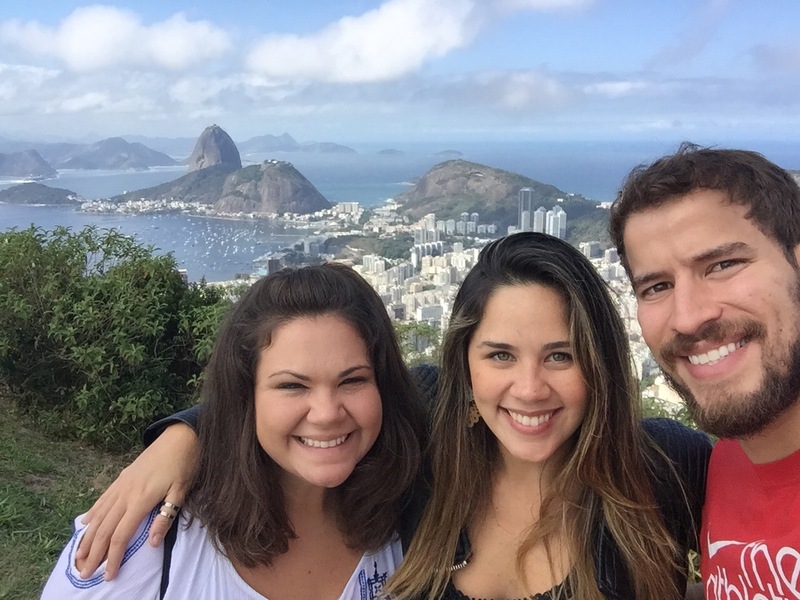 So, when I was invited to visit my friend in Rio this summer for the Olympics I did not hesitate. I immediately went online and purchased two Tickets to the Opening Ceremony. And just like that I was going, when just an hour before the idea had not even been on my radar. But, suddenly I had purchased my tickets and I was on my way to fulfill a life long dream- to attend an Olympic Opening Ceremony. This would be my Olympic moment, my Olympic Story! However, no good Olympic Story is complete without some drama. It turns out that the tickets I purchased in October for a 29th birthday to myself where fake. I should have realized something was fishy when the credit card sale was through an office in India. The website looked like the official site, but it turns out it was one hyphen away from the official Olympic ticket office. Now looking back on this, it was so obvious. Even my 7th grade students knew the tickets were fake. In my heart I think I did too. I mean, come on-I bought them from a random guy in India named Sam and I was supposed to pick them up at his “booth” in Rio before the event. Looking back now it is comical. A typical Kelly Story. I am such a hoosier! So trusting. So honest. And I wouldn’t have it any other way. I would rather see the good in the world instead of being a skeptic. Why would anyone sell fake tickets? I just didn’t want to be so distrusting of the world. I wanted so badly for them to be real, that I believed they were real. And so I told myself, the tickets could be real. And honestly it was worth the risk. So I planned my trip with confidence and fervor. Only secretly wondering if the tickets were real. However, When I arrived I realized that the “booth” did not exist and I had been scammed. I realized that I would not get these tickets and I had lost my money. I felt foolish for being so trusting and naive. However foolish I may be, I am also determined. I decided I had to try again. I used a European resale site and bought ANOTHER two tickets to the ceremony completely draining my savings. This site promised they would mail the tickets to my location in Rio by August 1st. Yet, on August 1st, they did not arrive. Instead I got word, through Fedex tracking, that they were still in France and would not be here until Friday the 5th….at 6:00 pm. The ceremony is the 5th at 5:00 pm, and it will take a few hours to get there. So, I am still waiting to see if they arrive. As of today they are in Memphis Tennessee ready to be shipped to Rio….. who unfortunately will be on a bank Holiday for the next two days. So, the odds are stacked against me, but I have faith that everything will work out. I will keep praying and I know that God can pull this together. Things always work out for the best! And all I can do is trust and pray that the tickets arrive in time! Keep tuned in to see if they arrive by tomorrow afternoon! They next time I write, I should be able to tell you what it is like to attend an Olympic Opening Ceremony live in the flesh! ……….OR……… I should be able to tell you what it is like to watch an Olympic Opening Ceremony on a TV next to where it is happening live. Either way, God is good and I am blessed to be in Rio! And right now I am off to find the local Fedex site and try, through broken Spanish and Portuguese to figure out where in the world my tickets are! Wish me luck and say a prayer! Nothing But Love! 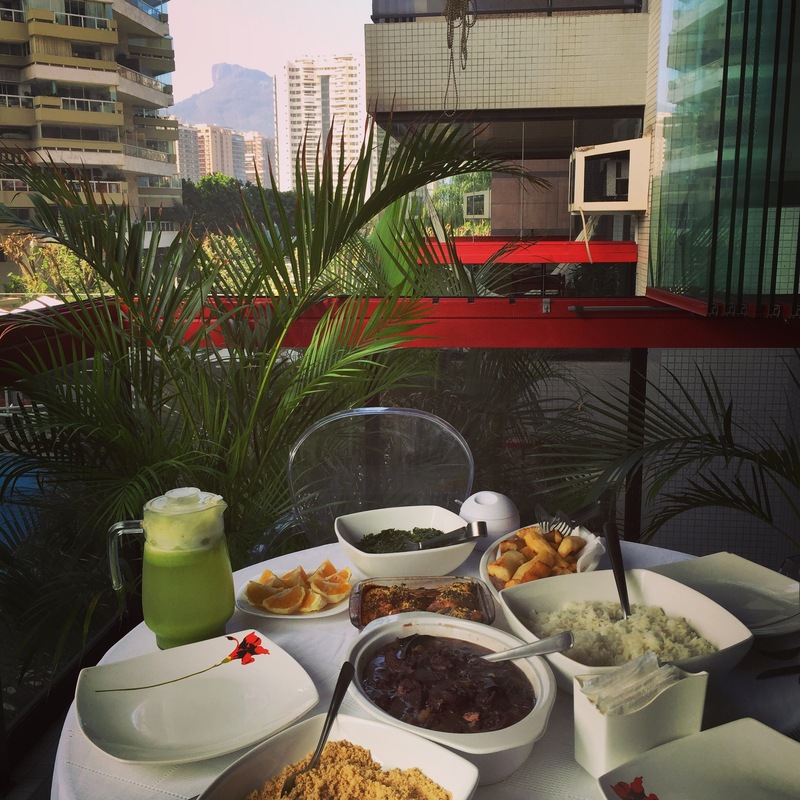 My First Impressions of Rio de Janeiro. Use bug spray, don’t go out at night alone, don’t drink the water, don’t use your phone in public, don’t get stabbed. These are just some of the warnings I was given before I left for my solo journey to Rio de Janeiro. Overall my friends and family seemed to be under the impression that Rio is an extremely dangerous place to visit, especially for a solo traveler. This collective fear has been cultivated by the media who has spent so much time telling only part of the Rio story. Everyone has been so focused on the problems and wondering if Rio will be ready for the Olympics, that they’ve completely missed the good. Yes, there are scary parts of Rio. Yes, there are dirty parts of the city. Yes, there are parts of Brazil that have contaminated water. But the same is true of almost any major city in the world. And that is not the main story. When I arrived in Rio and really looked around I did not see fear. I did not see danger. I did not see corruption. I saw love. I saw love in the families eating picnics in the park and along the beach. I saw it in the old men standing outside their local botecos, passionately rehashing decade old debates over cervejas. I saw it in couples holding hands as they walk along the Rodrigo de Freitas Lagoon. 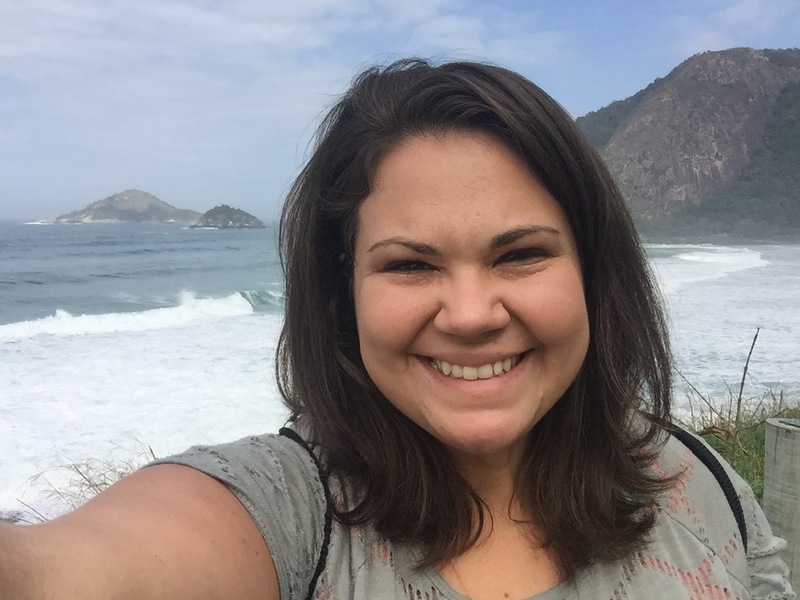 I saw it in all of the helpful and friendly and welcoming Brazilians I have had the privilege to meet. I felt love with every taste of the homemade Feijodad and Pudim made especially to welcome me to the country. I saw the overflowing love at the birthday parties I attended. Yes, plural…..I have been here three days and have already attended two birthday parties! These parties gave me a glimpse of the real Rio. This is where families and friends get together and laugh and eat and enjoy being together celebrating life and each other. 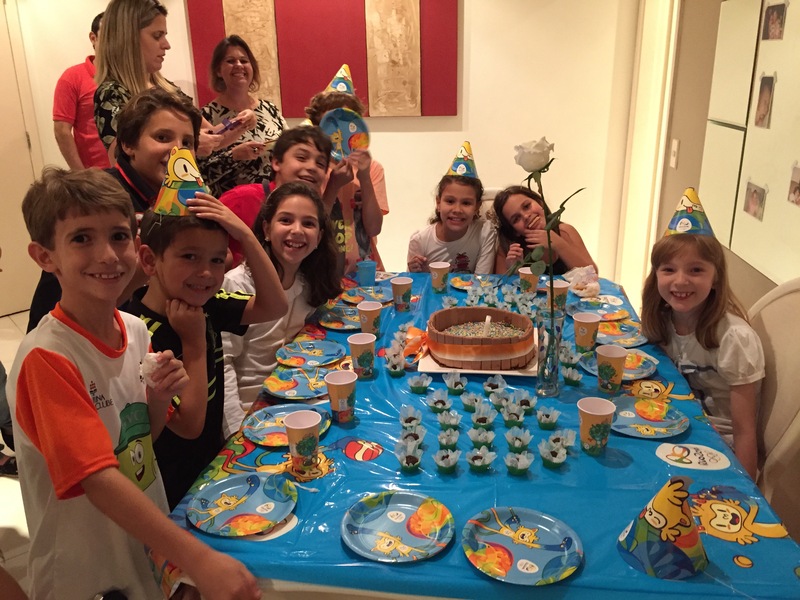 At these birthday parties I saw love in the graciousness of the Brazilian people. Everyone at the party made me feel welcomed and included. And Even though we couldn’t always understand each other, the language of love and kindness spoke for itself. And through a strange combination of smiles, gestures, and a mix of broken Portuguese, Spanish and English, we were able to share stories, laughs and love. The desire to communicate with me even though it was difficult felt so dear and inviting. I would have been content just being a quiet observer of their festivities, but their attention and hospitality gave me a glimpse at the heart of this city. And the soul of this heart can be best described by the city’s cultural icon. Rio’s famous Christ the Redeemer statue stands as a beacon and symbol of hope, peace and love for its city. Deemed one of the new 7 wonders of the world, this massive 124 ft statue is majestically situated at the top of the mountain peaks overlooking this unique city nestled between ocean and hills. The statue of Christ, with his outstretched arms, expresses a sense of reverence, majesty, openness and love. Just like the accepting and open people of Brazil, Jesus’ open arms extend acceptance and grace to the city below. It is awe inspiring when you look up to the mountains and you see him there standing, loving, and redeeming his city and his people. When I first arrived the city was having an unusually foggy day. 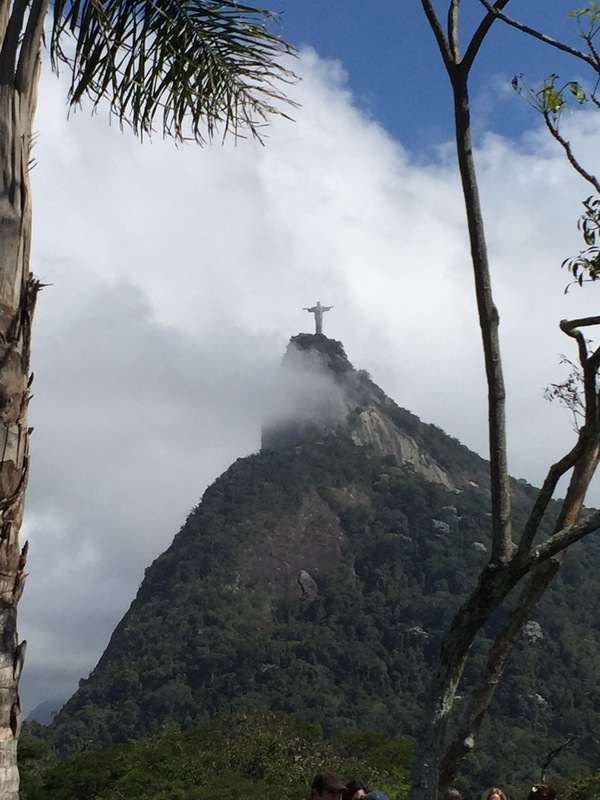 The Statue of Christ the Redeemer was hidden behind the clouds. My friends took me to a vantage point of this amazingly beautiful city. I was in awe of the beauty of the city itself. It is perfectly situated. Not only does this city have incredible beaches along its entire coast, it is also amazingly sprinkled with impressive and beautiful mountains. I was looking to the hills and suddenly the clouds moved and he was there. The statue appeared in the sky from behind the clouds and I was struck with a since of wonder and awe. As a Christian, I was brought to tears as I thought about the promise of Jesus’ return and I had chills. I know that this is just a statue and my savior is real and alive and not made of stone. But this symbol stood as a reminder to me of God’s promises and love. When you look at the statue in person you can’t help but stand in wonder and awe of God’s love for his people and his promise of redemption for those who accept his open embrace. So, Rio is not scary. It is beautiful and warm and accepting. It really is one of the world’s hidden gems. It has its problems, but don’t we all. That is why we are in need of a Redeemer. I have really enjoyed my time here so far and I highly recommend a visit to this incredible and interesting city that is bursting with so much heart! To sum it all up, I have nothing but Love for Rio de Janeiro. Check out my blog fillingmymap.com to see more. Also check out to WIBC.com to see other Olympic updates. My fascination with the Olympics begins with the dramatic selection of the host city. There are so many questions, so many big promises and so many people riding on the success of this anointed city that has suddenly been crowned with the mighty and terrifying honor of playing hostess to the entire world. There is always that suspenseful question hanging in the air…Will they be ready? Everyone always waits with baited breath to see if the city will be able to pull off the impossible and fulfill all of its lofty promises. It is part of the Olympic drama and charm. There are always many critics and skeptics, yet in the end it usually comes together. Rio has had its fair share of critics. There are many who prophesy failure. There are many who are waiting to point out the weak points and predict disaster. And right now those weak points seem to be stacking higher and higher for the large city in Brazil. The Olympic Village has plumbing issues (Why is it always the Plumbing?!) and there are reports that the sewers can’t hold all of the extra waste. They are also saying that the already bulging infrastructure won’t be able to keep up with the added traffic, there isn’t enough security (Is there ever enough? ), the water is dirty, and the mosquitoes will most assuredly give you Zika. Oh and don’t forget that there are dead bodies in the Beach Volleyball pits. We have heard this all before…. (Well maybe not the corpse infested sand pits.) Yet Sochi, who had a very similar list of problems a few weeks before the Olympics, was able to pull together some spectacular and relatively flawless games two years ago. (Insert cheeky nod to the defective 5th ring at the Sochi Ceremony….oh and I am sure we all still cringe when we think about Bob Costas’s Pink eye). Ok, nothing is ever perfect. However nothing is ever as bad as it is made out to be either. The pictures of the polluted water are miles away from where the sailors and swimmers will be competing. And unless you’re a pregnant, the Zika virus isn’t the life threatening disease the media would have you believe. The world likes the “Sky is Falling” reports. The truth is nothing of this magnitude will ever be flawless, but this city is going to do its best. People will be able to cope and make do with what they have. I think Rio will rise to the occasion and exceed everyone’s expectations.